It took eight days to reach Everest Base Camp and four days to get back down to the starting point at Lukla, all together 14 days of Everest Basecamp trekking. Over three years on, I still count it as my biggest adventure achievement to date. While nothing could prepare me for the overwhelming emotions and the mental and physical exhaustion that came in waves throughout the entire journey, there were other, more practical steps I could prepare for. I hiked long and arduous trails to get my body primed and prepped, and climbed smaller heights to prepare for changes in altitude. I also thoroughly researched everything I would need to ensure my journey would be as comfortable and safe as possible. One of the most commonly asked questions I get from people preparing to take on the Everest Base Camp trek is what to pack. Many people have never taken on a long multi-day trekking trip such as this, and have no idea what items to pack, in what quantity and how to prepare for varying weather conditions. You may be limited to how much you can take with you (a Sherpa typically carries one 10kg per person), but it is also absolutely essential to pack trekking clothing items that are lightweight but durable and of maximum effectiveness in keeping you warm. Here’s my list of essential items, core layering clothing, and added extras, to ensure you can pack light, yet have everything you need for a comfortable trek to EBC. The teahouses along the trekking route are not heated, which means the rooms are not warm and can be bitterly freezing at night. You will sit around the fireplace before retreating to your room and a decent sleeping bag is your lifeline to a good night’s sleep. Braving minus temperatures during the daytime is less gruelling when you are exerting energy than it is at night, when your body is resting from a long day. Hire a four-seasons, -20 degree sleeping bag in Kathmandu to take with you (they are a very expensive investment otherwise, if you are only going to use them once). You can always layer clothing if you need a little extra warmth while you are in it. Down jackets are very lightweight and compress down to fill a tiny space in your backpack, but they pack a punch when it comes to keeping you warm. Filled with duck or goose feathers (down) in varying proportions, they are one of the best items for cold weather conditions. Finding a durable, high quality product is key – this is not an item you should cut corners on. The down is the item that will keep you warm, retaining the heat inside the multiple layers of the jacket. Look for jackets with an average percentage of 80 (down) to 20 (other feathers), as not all jackets are 100% filled with down. The more ‘puffy’ and ‘fluffy’ the jacket, the better indication of how much air it holds, and therefore making it warmer. This is known as ‘compression’ and it is said that anything above 550 is a good buy. You can also hire a down jacket from many of the stores in Kathmandu, but considering it is an item you will wear a lot (including sometimes at night as an added extra layer to your sleeping bag), I would say it is more pleasant to purchase your own. It is also an item that comes in handy for all manner of travel scenarios. Do not hire hiking boots right before this long and arduous trek. Boots should be purchased long before you start the Everest Base Camp trek and ‘broken in’. This is one staple item that you cannot afford to get wrong. Buying boots requires a lot of research and sampling to make sure they are the perfect fit and with adequate ankle support (if you also need this). You should also try them on with two layers of socks to see if the boots still fit right, since you will be layering in this way throughout the trek. Then, wear the boots weeks before the trek to get used to the feel and weight and for them to mould to your feet and way of walking. A good chance to do this is during your training before hand – many people embark on hours long treks to kick start their fitness levels and get used to up to six hours of daily walking and climbing. Pack extra socks or slipper socks for use in the teahouses at night, when your ones from the day’s trekking are drying out over the fireplace. Leggings and a long sleeved top are essential base layers to keep you insulated from the cold. The tight fit of base layers ensures that the air is trapped next to your skin in order to keep you warm and to help wick away any moisture such as sweat that could make you cold. 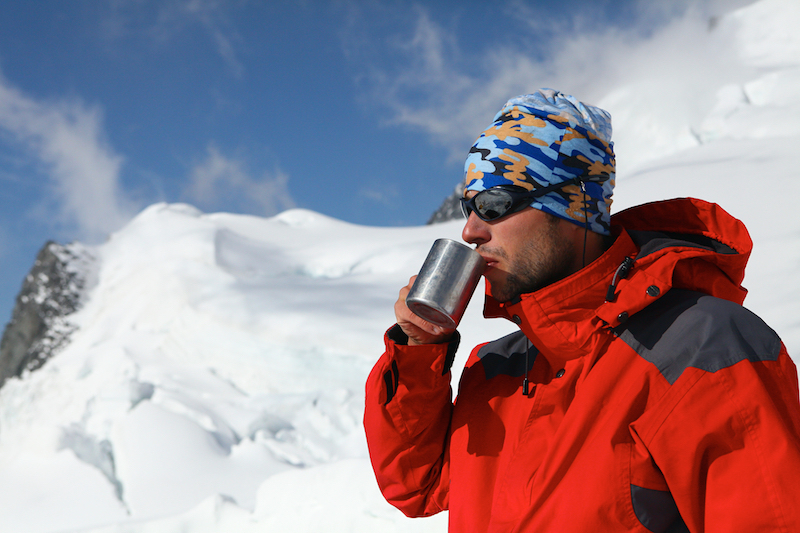 Merino Wool is one of the favoured and best materials for base layers. Avoid cotton as it attracts moisture and repels heat away from the body. This is also a good rule to apply to thermal socks. While a Sherpa will carry around 10kg of ‘luggage’ for you, a durable daypack is ideal to hold extra layers, water, smacks and camera equipment. Most trekking daypacks are around 35litres, but consider at least a 25litre pack if you are packing a little lighter. Look for backpacks with strong straps, a body that fits your body, one with extra hip support straps, a side pouch for easy access to a water bottle and padded compartments to protect expense camera and film gear. Not only are buffs great to keep your hair out of your face or used as a sweat towel, but they are also promoted as a lightweight face/mouth mask. The first two or three days of the trek are on pathways that throw up a lot of dust in the air. Invest in a buff to wear around your neck that you can use to cover your mouth when this sandy substance is likely to get into your lungs as you breathe deeply as you walk. I speak from experience of not using mine enough, getting the dreading ‘Khumbu Cough’ (which also is affected by altitude and cold air) and cracking a rib on the way back down from coughing so hard. Because even though it path gets cold and snow-laden, it doesn’t mean the sun stops shining. 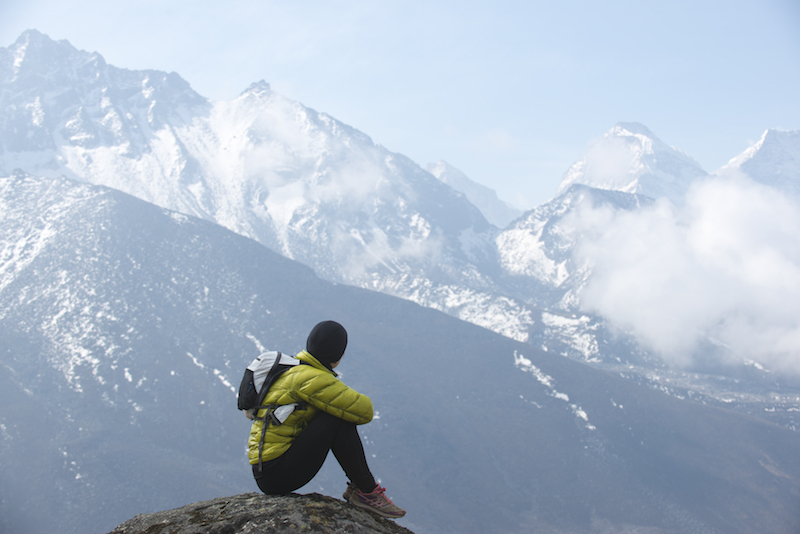 Kathmandu is a great place to stock up on remedies such as painkillers, rehydration sachets, anti-fungal and anti-bite creams, and Diamox for those people who might get high altitude sickness. For those with other conditions, such as asthma (like myself,) be sure to get medical advice prior to the EBC trek and get an adequate supply of your medical prescriptions to being with you. A good investment is a mini First Aid Kit, which doesn’t take up too much space in your luggage and contains all the essentials for emergencies, including plasters, bandages, and needles. Other essentials include toilet paper, baby wipes and deodorant (for those cold mornings and evenings when you want to freshen up and a shower isn’t available), sunscreen, energy and protein bars, nuts and dried fruit snacks. The trek to Everest Base camp winds through a variety of climates from warm, dusty pathways to chilly, icy pathways and light snow. The art of layering means never being too cold, and being able to strip quickly when you get too warm. It’s better to layer up than to suffer the cold, especially at night when temperatures reach bitter degrees. These can be worn over the top of your base layers, so make sure you purchase trekking trousers that are not too tight to allow space for layering and with comfortable, unrestricted movement. You can purchase trekking trousers with added sun protection material, multiple pockets and with detachable layers, so you can unzip them into shorts if needed. Consider packing around four or five t-shirts and two long-sleeved breathable tops that you can use to layer on top of your thermals and under fleeces and bigger jackets. There is no need to pack one for each and every day of the trek. The art of layering means being able to rotate the items for multi-use. As fleece can take up a lot of space, but micro fleeces are also a good options for layering over thermals, long-sleeved tops and t-shirts. They are not as bulky but still do a grand job of keeping you warm. A perfect choice for when it’s too warm to need your down jacket, but an extra layer to put over the top of it when it rains, which is common at the start of the monsoon season. Shell jackets are made of durable materials that repel the wind to help you keep warm, while not being too bulky and restricting movement. These items are obvious choices for when you climb higher and the air gets thinner and colder, and also good to wear at night to warm the extremities. Consider hats and scarfs with a fleece lining for extra warmth, and do not buy cheap, thin gloves. It gets incredibly cold and the circulation in your hands and feet is of the upmost importance. Get some thick, quality gloves with proven insulation power, like minus degree ski gloves for example. 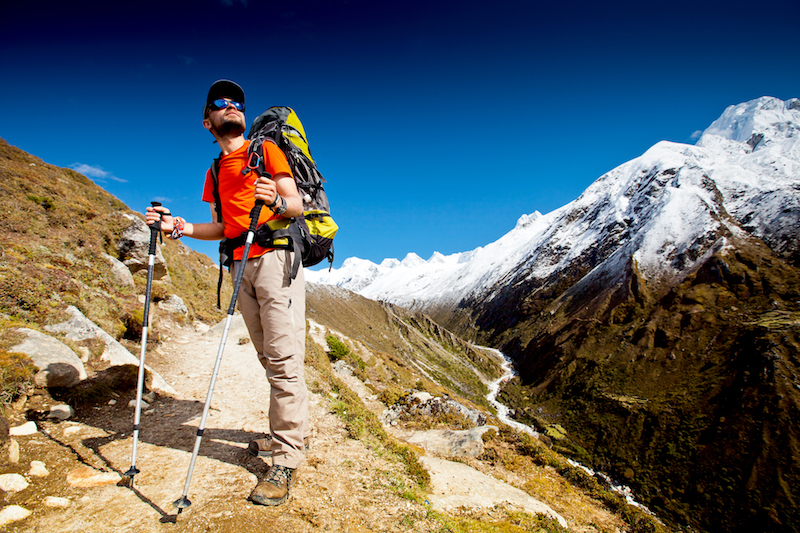 Not everyone feels the need to use walking sticks but they do come in useful on particular parts of the trek where extra grip and balance is needed – especially where climbs get a little steeper or where the pathway is made up of loose rocks and soil. Many people find walking sticks not only give them extra balance, but also allow them to form a steady tempo when walking. Keeping a steady pace during this trek is essential for not over-exerting the body and expending too much energy in lower altitudes. Water is everything and you will need at least four litres throughout your trek on the more difficult days. You can buy bottled water at any teahouse along the way; although prices get more expensive the higher you climb. If you don’t want to carry a heavy one-litre bottle (which you can sometimes refill at mountain springs) or don’t want the inconvenience of taking it in and out of your bag, purchase a hydration pouch with a mouthpiece like CamelBaks, which fit into a backpack snuggly so you can sip as you go. While I found that I didn’t really use that many, a water purification kit comes handy if want to be safe from water borne diseases when needing an urgent water refill. It means you can fill up from a bathroom tap or even a slightly muddy natural stream and have purified water in around 20-30 minutes. Water purifications tablets are easily found at supermarkets in Kathmandu (chlorine tablet or piyus) and for a very cheap price, in ultimately help cut down your costs on bottled water and the environmental effects of plastic waste. You will be surprised at how well equipped the teahouses along the trail are, especially the further you venture up. However, the amenities of which we are used to are scarce and sometimes in limited supply here, with Nepal also known for its frequent power cuts. A headlamp comes saves you when you are left in the dark, and also leaves you hands free to continue to eat, read, find the bathroom or avoid bumping into a yak! Extreme weather conditions drain batteries a lot faster than normal, and this is a scenic trek you don’t want to miss out on when it comes to snapping a few memories. Buy extra camera batteries and invest in a portable charger pack or two for your phone, since charging in teahouses becomes very expense. Remember to pack a portable ‘Worldwide Adapter’ plug (or two) to use and charge all of your electronics – Nepal uses a two-pronged plug. It’s time to get packing – Everest Base camp is awaiting your arrival. Kitting up is only the start of this grand adventure. 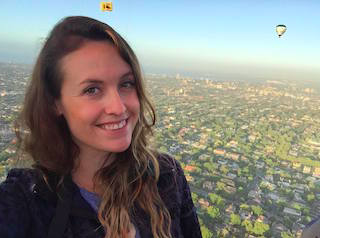 Becki Enright is a British Travel Press award winning travel writer at Borders of Adventure and a Brands PR Consultant. Her work focuses on adventure and culture, while changing perceptions and shedding light on the misunderstood aspects of destinations or entire countries with insight into the social, historical, political and economic factors that shape it in relation to tourism. Becki reached Everest Base Camp in November 2012 and through endless tears will never forget standing before the top of the world. Her love of Nepal sees her help hundreds of others plan their journeys, as well as devise ways of making her own way back.